Polybooks, 1967, Hardback in Dust Wrapper. Condition: Very Good - in Good DJ. Edges of DJ somewhat ruffled, several small closed tears and nicked at the top corner of upper panel. Text bright and tight. 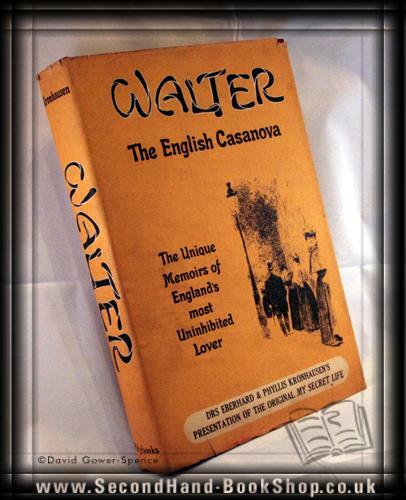 Walter is the fabulous Victorian who dared to live for pleasure. Here is the first character study of this unusual personality, based entirely on his own secret life story and giving full details of some of his most interesting amorous adventures in England and on the Continent as expressed in his own unprecedented manner. Size: 10¼" x 6½". 326 pages.